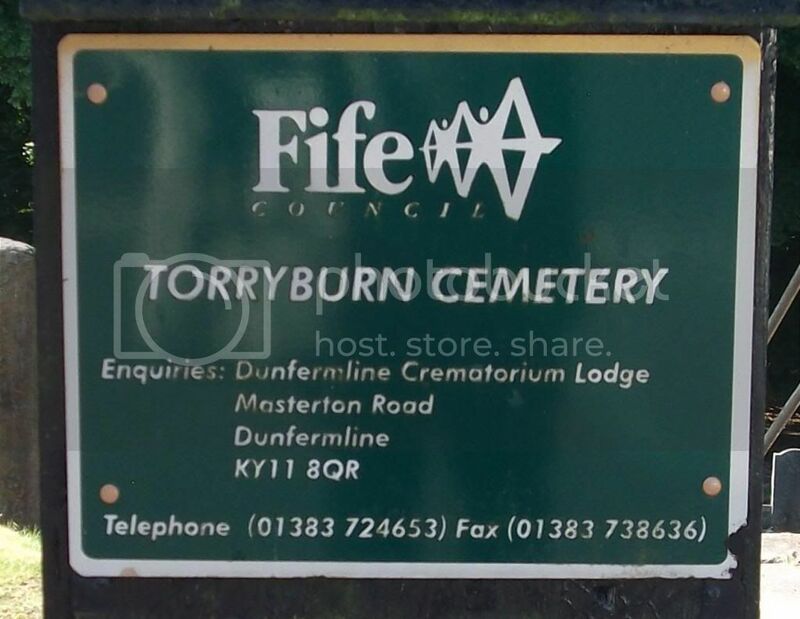 When Traveling towards Kincardine on the A985, at the Cairneyhill roundabout take the first exit signposted Culross 4, Torryburn 1-1/4 (B9037). The Cemetery is approximately one mile on the left. 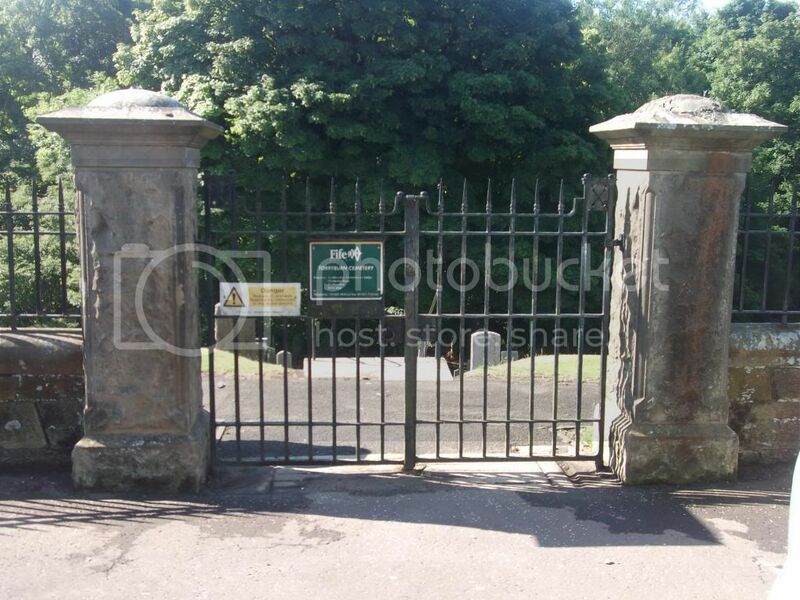 There are eight graves listed on the Commonwealth War Graves website and an additional seventeen family headstones which commemorate the fallen. 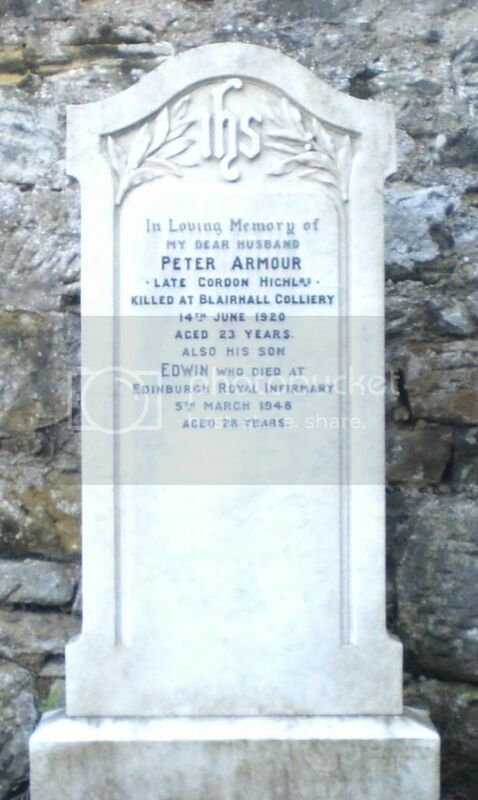 Posted: Sat Jul 27, 2013 10:10 pm Post subject: Armour, Peter. Posted: Sat Jul 27, 2013 10:10 pm Post subject: Christie, Robert. Posted: Sat Jul 27, 2013 10:11 pm Post subject: Ford, Charles Henderson. Posted: Sat Jul 27, 2013 10:12 pm Post subject: Gordon, Alexander. 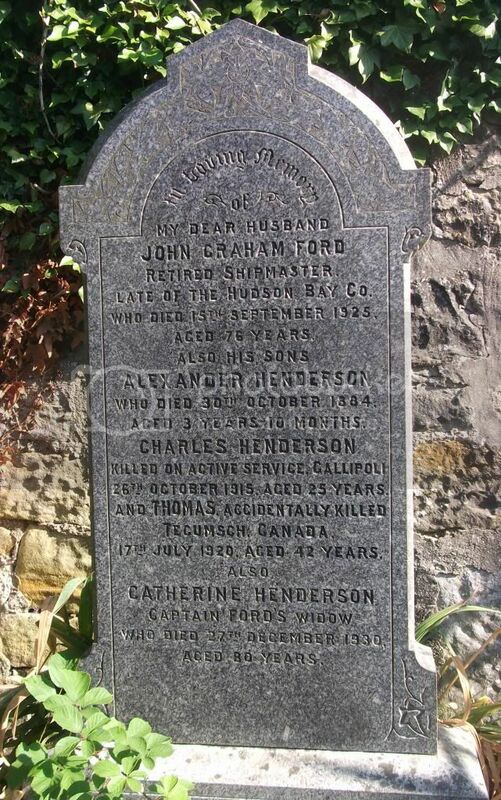 Additional Information: Son Of Helen Gordon, Of Main St., Newmills, Dunfermline, Fife, And The Late James Gordon. (In The Same Grave Is Buried:-Pte. James Gordon, 291978. 7Th Bn. 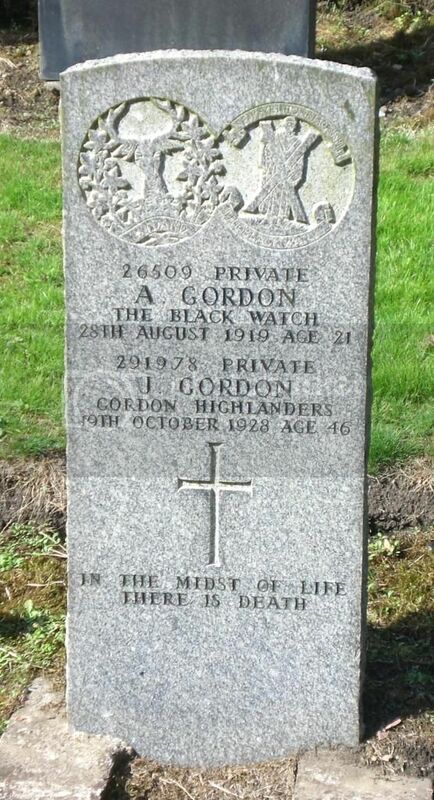 Gordon Highlanders. 19Th Oct., 1928. Age 26.). 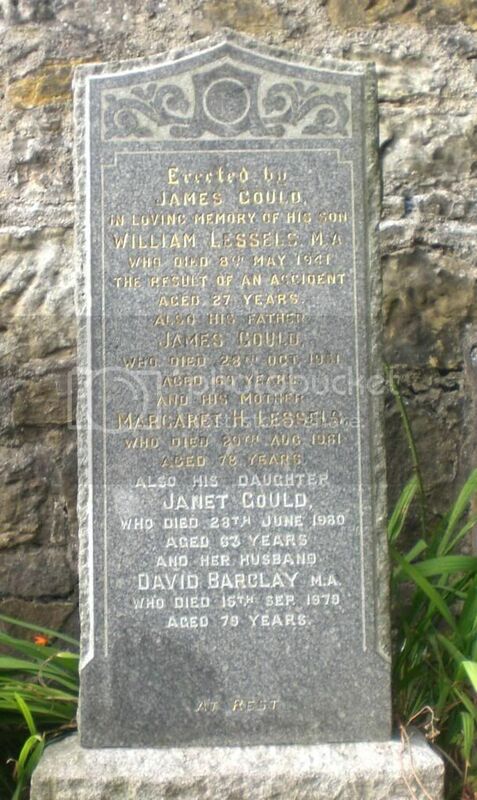 Posted: Sat Jul 27, 2013 10:12 pm Post subject: Gould, William Lessels. Grave No. Sec. N. Grave 62. 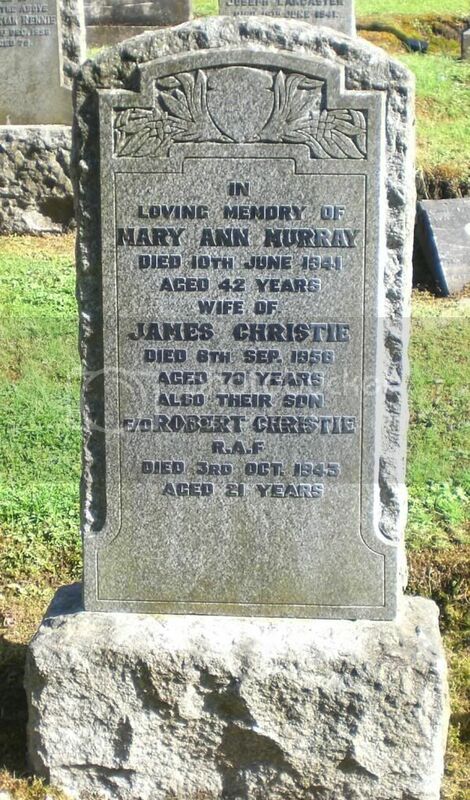 Additional Information: Son Of James And Margaret Gould, Of Newmills. M.A. (Edin.). Posted: Sat Jul 27, 2013 10:13 pm Post subject: Gray, Peter Blackwood. 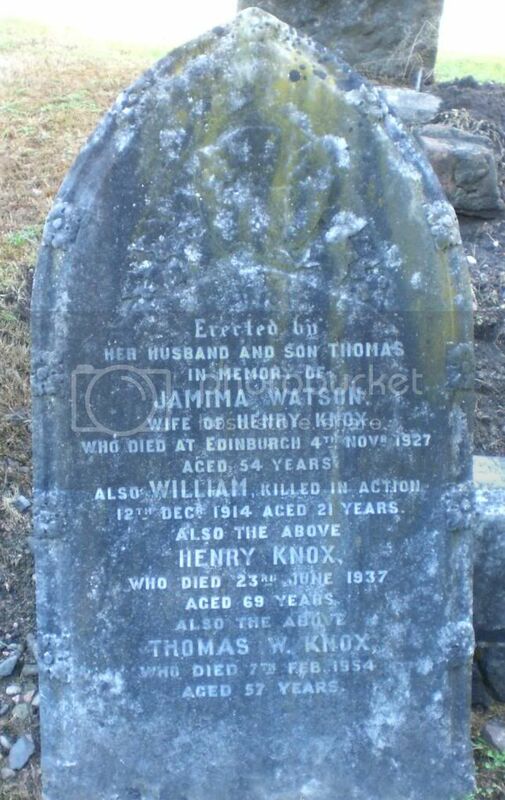 Posted: Sat Jul 27, 2013 10:14 pm Post subject: Knox, William. 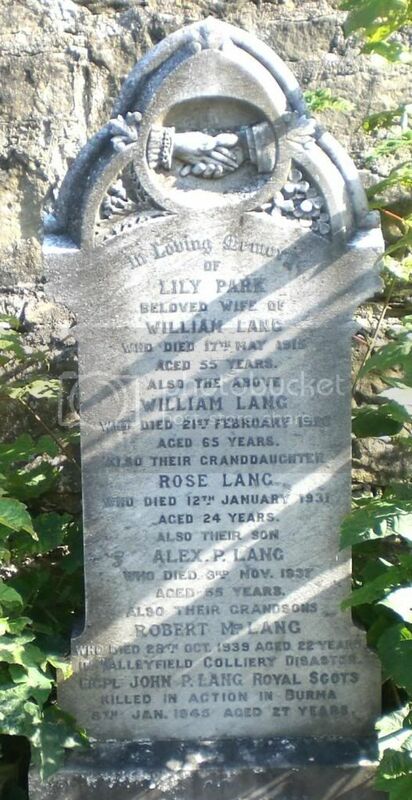 Posted: Sat Jul 27, 2013 10:14 pm Post subject: Lang, John Park. Posted: Sat Jul 27, 2013 10:15 pm Post subject: Leonard, John Fraser. Grave No. Sec. H. Grave 48. 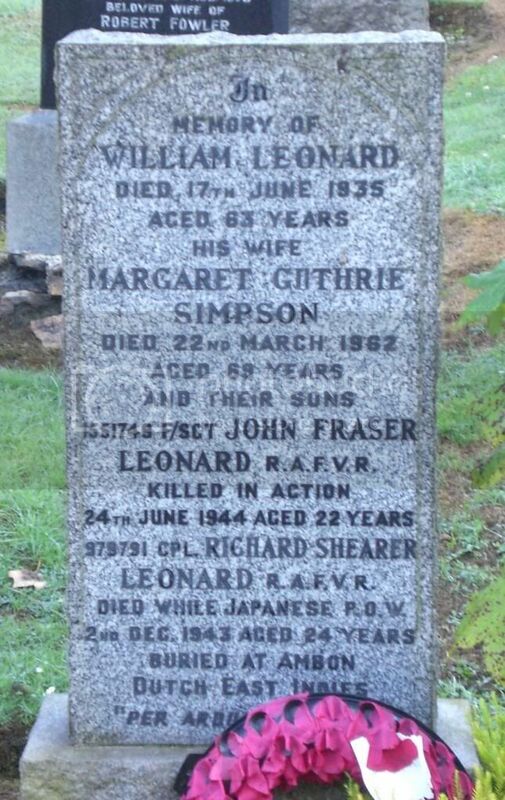 Additional Information: Son Of William And Margaret Guthrie Leonard, Of Inverkeithing. Posted: Sat Jul 27, 2013 10:16 pm Post subject: Leonard, Richard Shearer. Posted: Sat Jul 27, 2013 10:16 pm Post subject: Lessels, James Methven. Grave No. Sec. N. Grave 33. 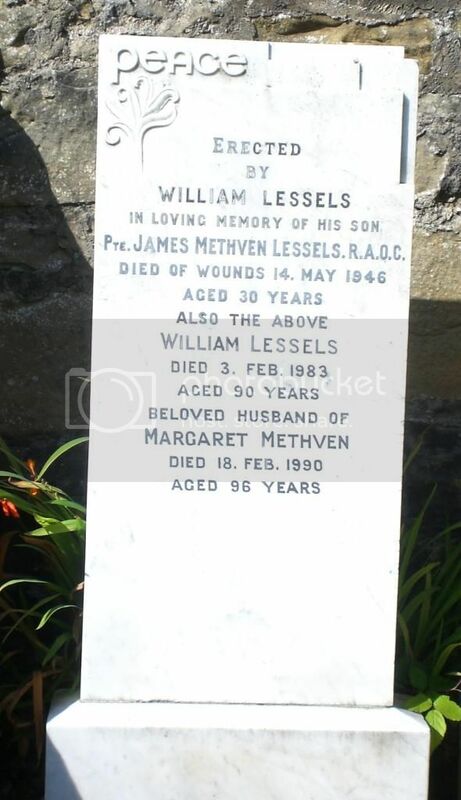 Additional Information: Son Of William And Margaret Lessels, Of Newmills; Husband Of Marcell Lessels. 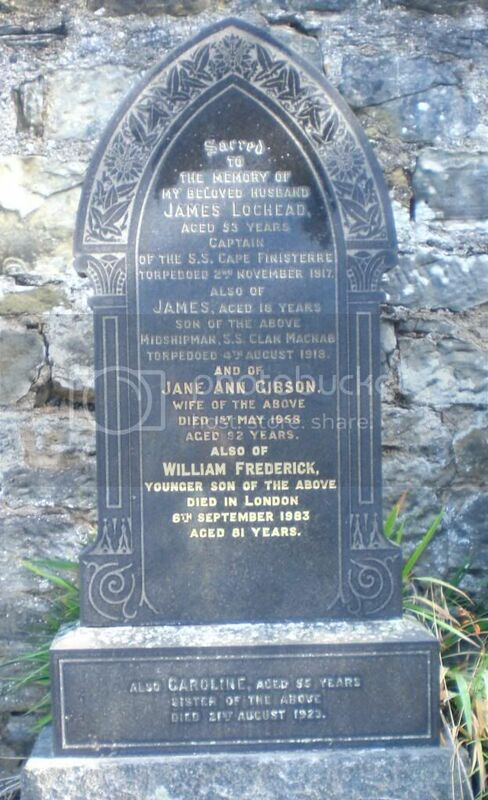 Posted: Sat Jul 27, 2013 10:17 pm Post subject: Lochead, James. Posted: Sat Jul 27, 2013 10:18 pm Post subject: Marshall, William Warden. 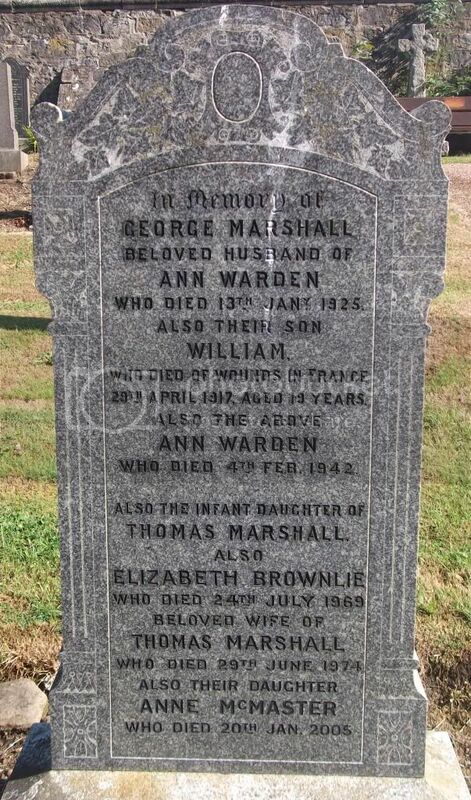 Additional Information: Son of George and Ann Marshall, of Main St., Newmills, Dunfermline. 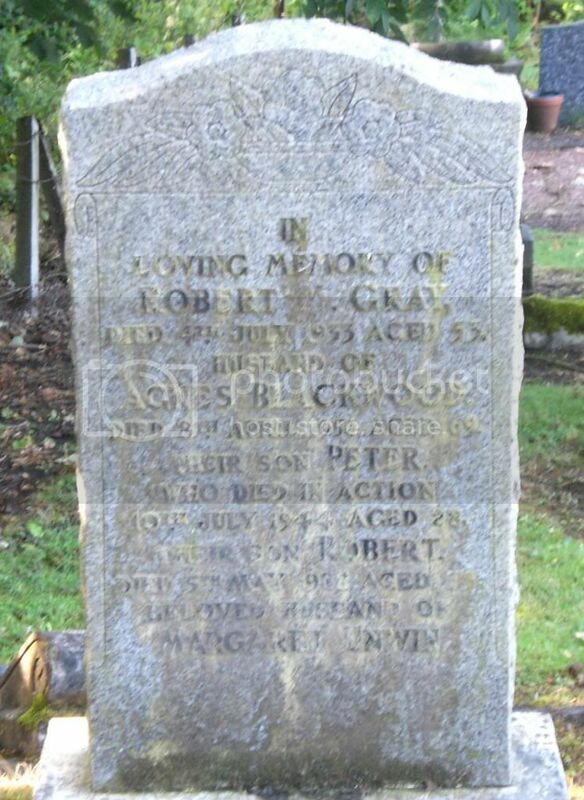 Native of Comrie Village, Oakley, Fifeshire. Buried in Etaples Military Cemetery, France. Grave Reference XVIII. D. 10.